I’ve been asked to write a short piece about myself so that when I take up my role as your new Rector at the end of September, you’ll have at least a bit of a notion of who I am! The first thing you may notice about me is that I have an accent that’s very difficult to place. I was born in Canada and lived in various countries as a child, before settling in England (my father is originally from Kent) at the age of seventeen. I read History at university and also did a lot of singing as a choral scholar in my college choir. Just after university I married Gillian; early in our marriage we spent three years living and working in Ghana, where she was born and brought up. Our daughter Judith was born in 2003, whilst I was a teacher at Bradfield College, just west of Reading. It was at Bradfield that I started to act on the niggling feeling that I should explore the possibility of ordination. To cut a long story short, we eventually moved to Ripon College Cuddesdon, near Oxford, for my theological training, and I was ordained deacon in 2012 and priest in 2013. My curacy was at Holy Trinity, Headington Quarry, famous for being C.S. Lewis’ parish church. But of course there’s more to me than a list of dates! I enjoy cooking elaborate and complicated meals (but the cleaning up less so). Music (mainly classical and jazz, but I’m open to any good music) is deeply important to me. (One of my favourite quotes is by the German philosopher Friedrich Nietzsche: “Without music, life would be a mistake.”) I like to read modern fiction, history, and poetry; and I enjoy watching sport and going for long walks. Maybe the most relevant thing about me, though, in terms of my new role as Rector, is that I am passionate about commending the richness and integrity of the Christian way to our world, and also about providing a warm welcome to any and all who want to explore it with us. I’m also convinced that the Church has an important role to play in serving local communities. I hope this will give you some idea of who I am. Gillian, Judith and I look forward to getting to know you over the weeks, months, and years to come; and I’m very excited about serving the parishes of Rotherfield Peppard and Kidmore End & Sonning Common as Rector. 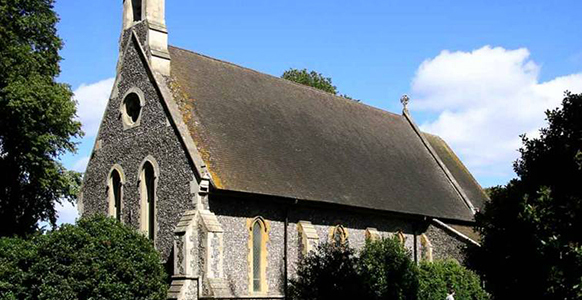 For more information about the Ecclesiastical Parish of Kidmore End and Sonning Common, see the Lamb & Flag website.